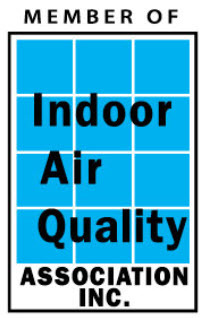 Indoor air pollution (IAP) is ten times more harmful than outdoor air pollution but more attention is given to the latter, participants from leading technology and research institutions said while discussing indoor air quality management in tropical climatic conditions on Friday. “Toxins remain trapped inside an enclosed room, depending on the ventilation, which make it worse. Factors causing IAP lead to release and accumulation of pollutants like formaldehyde, radon, asbestos, heavy metals, tobacco smoke, and those released by burning of cooking fuel and biomass,” said Dr Chitra of Madras Medical College. She said even though LPG causes lower pollution than the burning of biomass it is not safe. “It is slightly better. Also, IAP depends not only on what is being burnt but also the way cooking is done,” she added. The summit on air quality management saw the participation of scientists and leading professionals from IIT Madras, State and Central Pollution Control Board, National Environmental Engineering Research Institute and private companies in the technology sector. Issues affecting air quality in urban and rural settings were discussed. “The problem in urban settings is the dearth of open spaces. Another problem is the shortage of green cover which, to a large extent, reduces the toxins in the air,” said Dr R Sivacoumar, principal scientist at CSIR-NEERI. He emphasised that while choosing residential spaces, one must ensure that the floor space index (FSI) is not more than 1.5. “If FSI is more than 1.5, it shows a decrease in the open space,” he added. Discussing the impact of air quality on the mental and physical health of humans, the panel focused on the design, development and cost of air quality monitoring systems, air quality problems in micro indoor and outdoor environment, and the impact of day-to-day household items in creating poor air quality.